Worship is at the heart of the Christian faith. This applies equally to all denominations. For that reason, it is all the more important that the ordering of worship and its place in the life of the church is regularly rewritten and reinterpreted. This volume—based on the third, completely revised German edition from 2013 by two of the foremost liturgical scholars in Germany—offers a contemporary, comprehensive introduction to the foundations for the study of liturgy today, one from which scholars and students in the English-speaking world can also profit. Beyond appealing to students of liturgy and theology, this book reaches out to everyone who wants to know more about the liturgical essence and dimensions of the church. Albert Gerhards, after studies in Innsbruck and Rome, received his doctorate from the University of Trier. Professor of liturgics at the University of Bonn since 1989, he has been active in the broader spheres of church art and architecture, ecumenism, and Christian-Jewish dialogue, and he has served as an adviser to the Conference of German Bishops. Benedikt Kranemann studied Catholic theology, German linguistics, and philosophy at the University of Münster. He began his career as librarian for the German Liturgical Institute, where he became a master of liturgical literature old and new. Since 1998 he has been professor of liturgics in the Catholic faculty at the University of Erfurt. "There is much to praise about this book." "For the first time, this important work by prominent German liturgists Albert Gerhards and Benedikt Kranemann has been made readily available to English-speaking readers. True to the tradition of Liturgical Press, which has brought significant liturgical works from European scholars to wider audiences since its founding, Linda M. Maloney offers her translation of an informative and comprehensive volume attending to the history, theology, and pastoral practice of the liturgy. 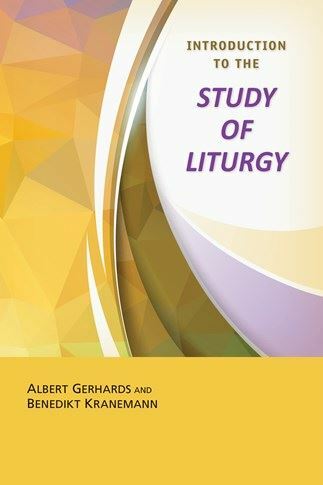 Gerhards and Kranemann's Introduction to the Study of Liturgy provides an excellent foundational resource for those interested in liturgical studies while exposing readers to the best in contemporary German scholarship." "This text will serve as an important reference in liturgical science for years to come. Professors Gerhards and Kranemann are to be commended for offering us this foundational work, and for reminding us therein that by its very nature, liturgy is never lived in a vacuum but is always in dialogue with and shaped by contemporary culture and society, as the Church continues to grow locally and globally, faithfully in her service to the Gospel of Christ. "Absolutely essential for anyone studying the basics of worship in the Roman Catholic tradition. This valuable survey of the cultural and theological foundation of divine worship gives a contemporary and refreshing perspective to the most sublime work of the Church." "This is a comprehensive presentation of the scholarly study of Catholic liturgy. It is a suitable textbook for graduate students. It will continue to be useful as a reference book." "Not exactly a text book for beginners, it is nevertheless as inviting and absorbing as it is challenging." "This comprehensive volume, written in a very accessible style by two of Germany's foremost liturgical scholars, breaks new ground in the field of liturgical studies and will serve as an indispensable resource for years to come. The authors raise important theological and methodological questions about worship's function within ecclesial life and in the wider context of the ever-changing social and multicultural landscape of the twenty-first century." "A crucially important introduction to liturgical studies from two experts in the field. Their collaborative effort succeeds at being both vastly informative and surprisingly succinct; it is rooted in a deep knowledge of historical developments but also in an attentiveness to new ways of inquiring into liturgy. The book is bound to become a foundational text." "Here two renowned scholars, Albert Gerhards and Benedikt Kranemann, attempt to bring together the essential elements for an introduction to liturgical studies. They do so with brilliance. This book should now be considered a work of reference. It is sensitive to contexts and history, written in an interdisciplinary way—in short, essential to its field." "The modest title of this book may mislead the reader. `Introduction' is an understatement; a better description would be a `foundational text' for the field of liturgical studies."